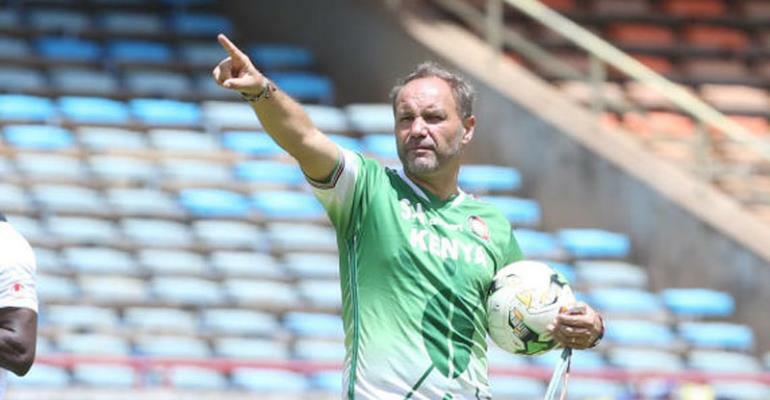 Head coach of the Kenyan national team, Sebastien Migne has they are not under pressure heading into their final AFCON qualifier match against Ghana. Ghana will host the Harambee Stars in their final Group F game on Saturday at the Accra Sports Stadium. The Harambee Stars will be hoping to frustrate the four-time African champions after winning the first leg by a lone goal in Kasarani last year September. However, Kwesi Appiah, who will be using this clash to access his players before naming his AFCON final squad is poised to get the desired results. But Migne says they are cool heading into the game and insisted they are not scared. “We are not under pressure," he said. "Even if it were a crucial qualification match, we still would have taken it easy. Kenya is expected to arrive in Ghana today.